Expert surveyors completed a thorough onsite review and gave Little Rock Cosmetic Surgery Center the stamp of approval. 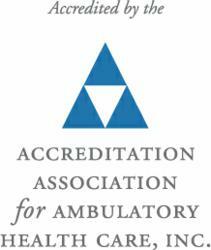 Seeking accreditation is just part of our mission to provide the safest, most state-of-the-art services to all of our patients. The Little Rock Cosmetic Surgery Center has earned accreditation from the Accreditation Association for Ambulatory Health Care (AAAHC). This distinguished honor is reserved for outpatient facilities that meet the highest standards of patient care in the industry. Accreditation is voluntary, so undergoing the rigorous process is a sign that the care provider is not only truly confident about the quality of care they provide, but also committed to ongoing education and improvement. AAAHC surveyors, who are esteemed health care professionals themselves, independently evaluate prospective facilities while conducting a peer review and consultation series that enhances the care and services of the participating staff. Patients from all over Arkansas and beyond come to the Cosmetic Surgery Center because they offer the highest standards in the two most important categories for a care provider. Dr. Branman’s onsite surgical facility is fully equipped, visually inviting, and packed with amenities that make every patient’s experience comfortable and relaxing. The facility is immaculately maintained to meet the most stringent health and safety standards in the nation. Private suites allow visitors to feel confident and protected as they go through the process of consultation and surgery. With Certified Plastic Surgical Nurses, Certified Registered Nurse Anesthetists, Surgical Technologists, and Registered Nurses, the Cosmetic Surgery Center has a comprehensive staff that carries a wide range of skills and experience. These professionals are trained to deliver comforting, compassionate service as they go about their sometimes highly technical jobs. They keep patients informed and relaxed throughout the entire process and are committed to safety. With the new accreditation under their belt, the Little Rock cosmetic surgery team at Cosmetic Surgery Center is poised to offer better care than ever before. Count on them to continue their dedication to education and improvement. 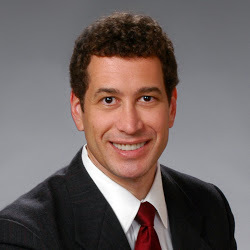 For more information about the Arkansas cosmetic surgeon at Little Rock Cosmetic Surgery Center, visit their website at littlerockcosmeticsurgery.com or contact their office at (501) 227-0707 or Cosmetic Surgery Center, 10809 Executive Center Dr, Ste 100, Little Rock, AR 72211. Located in Little Rock, Arkansas, Cosmetic Surgery Center boasts an AAAHC surgical center under the care of Rhys Branman M.D. Cosmetic Surgery Center strives to provide people with the most effective surgical and minimally invasive enhancements available.